With the 365 Project behind me that left day 2 completely open with possibilities. The only thing I really wanted to do was sit at Cafe M with my journal and a cup of hot tea to reflect on the past year. We had plans to have lunch with a friend of Peter's who manages the metalsmith studio at SCAD. Until lunch time we had nothing but our feet to guide us along. 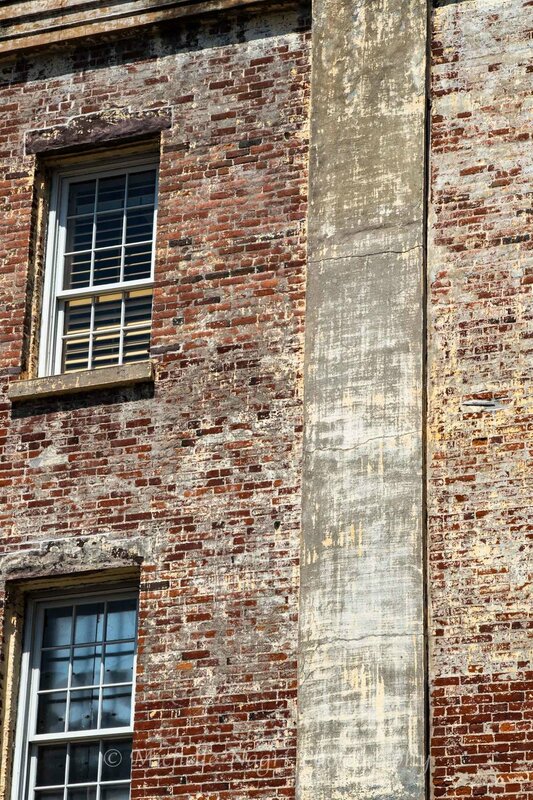 The one thing I noticed when first visiting Savannah last year was how much texture the city has. Founded in 1733 the city has nearly 300 years of history and architecture behind it. The older buildings have texture and layers hidden beneath. Facades peel back to reveal old brick. Brick walls seem layered with melting mortar. Nature does its best to break through the walls with ferns flourishing along the brick. On this trip I wanted to celebrate the textures of Savannah. It was no challenge to find tantalizing compositions. No challenge to be captivated every 10 feet. The biggest challenge was to not trip over my own feet or uneven ground from looking up so much. Thankfully I was successful on that front! Without further ado I present the Textures of Savannah. Enjoy! As always, I welcome your feedback and questions in the comments below.